A wonderful way to make your dress truly your own! 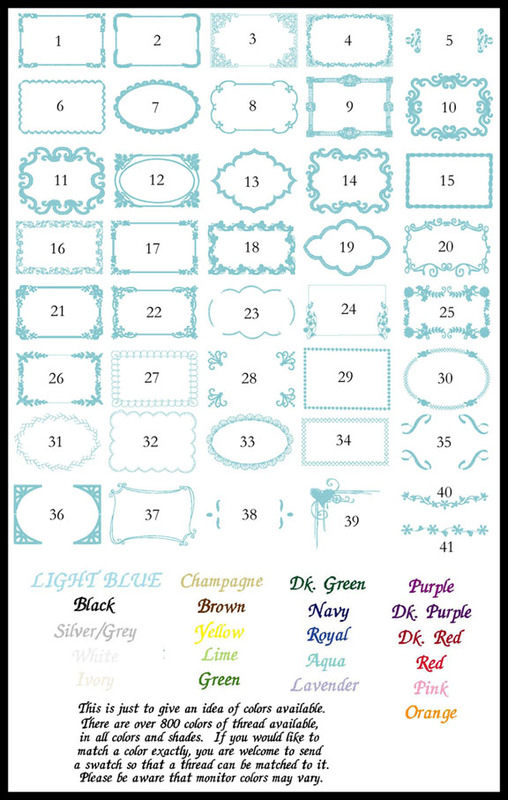 A wedding dress label with the addition of a beautiful border that will match your wedding style. 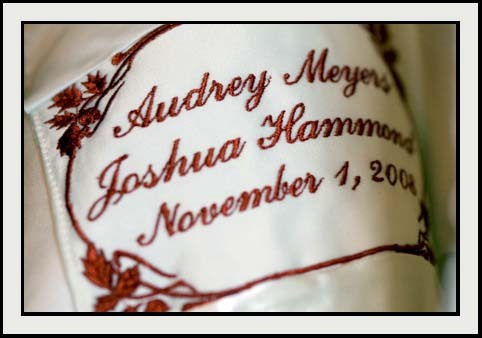 Dress labels can be done with the bride's monogram or name (either maiden or married), bride and groom names or monogram, a simple phrase (like happily ever after), or even nicknames. This is a totally personal item, and made just for you, so anything you want is perfectly fine! Dress labels are sent to you directly, and can be sewn in by the person doing alterations. It only takes a bit of hand sewing, so the bride or a family member can do it as well. If you have any questions as to where or how to sew it in, please feel free to contact us. Dress labels range in size from 2-4” tall X 3-5 wide”, but can be a bit larger due to the fonts and wording chosen. Please see the note about larger borders below. Please note on borders: Border options 10 thru 15 create a larger label all around, and border 5 creates a longer label. These can get up to 6" wide, or even more, if the text is long. 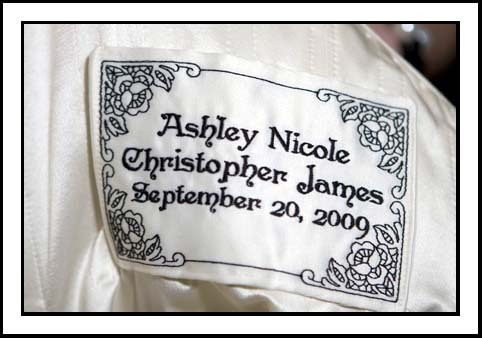 If you like those borders, but want a smaller size, consider using a monogram, and a short version of date (an abbreviation of month names, or a numerical date <I.E., 9-9-09="">). 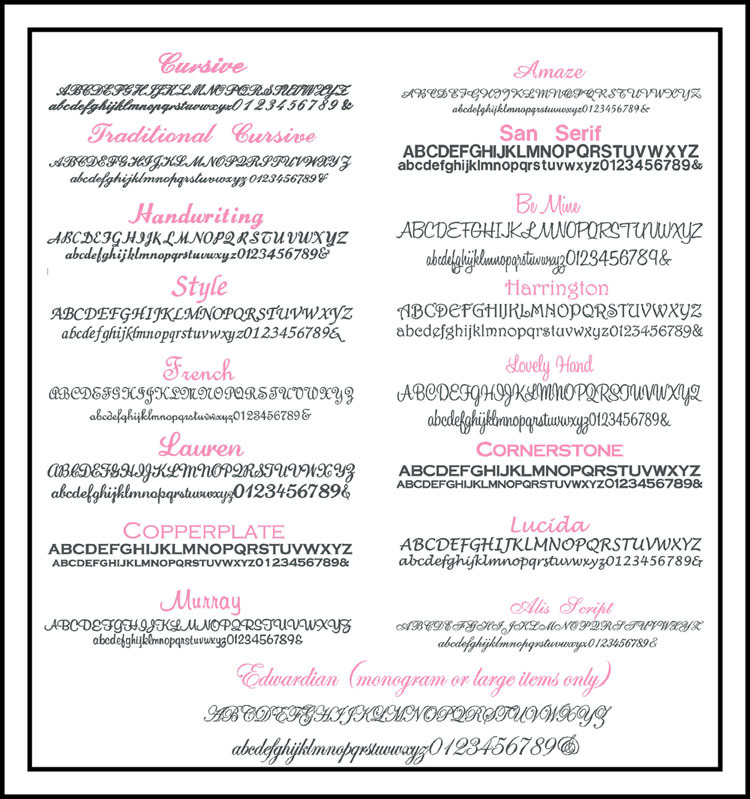 Also consider not using a font that is italicized, as those fonts can make names/words longer.